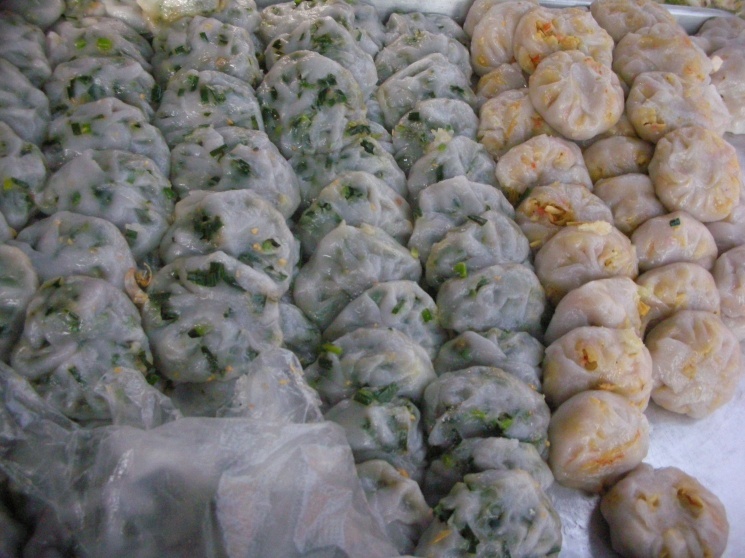 Chinese-style steamed dumplings or "pot stickers" are enjoyed throughout the world, notably in America they're often sold ready-made in the freezer section of supermarkets. 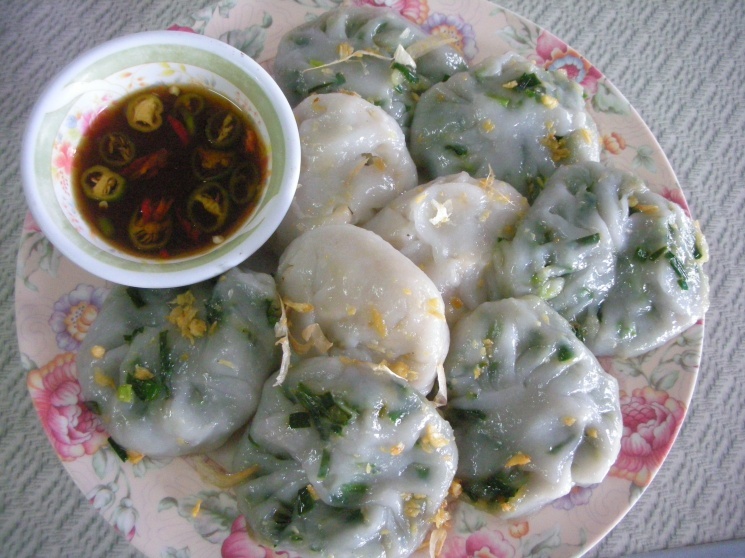 Here we've perfected a Thai steamed dumpling, called "Pun Sip Neung" or "Pun Clip Neung". Pun meaning roll, sip (or clip) meaning sealed, neung meaning steamed. Served with a generous amount of fried garlic, and garnished with fresh cilantro and Thai chile peppers, these are loaded with flavor and ready to eat without a dipping sauce. The recipe is fairly time-consuming, but with practice you can really make a lot of these at once. We prepared it with two different fillings (fish and chicken). They can be kept in the fridge or freezer to be steamed later. Be sure to use a proper stacked steamer. You might also like our recipe for steamed buns, salapao. Fish filet steams perfectly in our stacked steamer, just fill the bottom layer with water and bring to a rolling boil, then steam the fish for 15 minutes. Remove any bones from your fish, and pound the cooked fish in amortar and pestle until it fluffs up. Set aside. In a mortar and pestle pound the corriander seed, garlic and Thai pepper powder into a paste. Set aside. Pound the roasted peanuts in your mortar and pestle, and set aside. In your mortar and pestle, pound the fresh galangal until it becomes a paste. Set aside. Heat vegetable oil in a pan at medium/high. Add shallot and saute until soft. Add the pepper powder/garlic/corriander seed mixture, and add pounded galangal. Fry until aromatic and golden. Add pounded fish. Break apart the meat constantly and mix well as it cooks. Season with Golden Mountain sauce and palm sugar. The taste should be mostly sweet, followed by salty. Reduce heat and continue to fry until it starts to dry. Add peanuts, spring onion and cilantro. Mix well. Remove from heat and set aside, let cool. In a mortar and pestle pound the corriander seed, garlic and Thai pepper powder into a paste. Set aside. Heat vegetable oil in a pan at medium/high. Add spice mixture (pepper powder/garlic/corriander seed) and fry until fragrant. Add chicken and stir-fry until done. Add onion, fish sauce and sugar. Continue frying until cooked through. Remove from heat and set aside, let cool. Add 2 cups of warm water to coconut cream powder, stir until the powder is completely dissolved. Set aside. In large bowl mix rice flour, tapioca, and arrowroot. Then add coconut/water little by little while kneading with your hands. Add vegetable oil and knead the mixture until smooth with no lumps. Pour the mixture through a wire mesh strainer, then add to a pan. Place the pan over medium-low heat, and stir until it turns into a dough, about 5 minutes. Transfer the dough into a large floured mixing bowl. Allow to cool for a few minutes. With a little bit of flour on your hands, knead the dough until sticky and smooth. Next, dampen a cheese cloth by placing it under running water, and wringing out the water. Place the damp cloth over the batter to prevent it from drying out. Now start making the dumplings. Shape the batter into 1 inch diameter balls, then flatten out in to a circle, the edge should be thin. Place 1-2 teaspoons of filling in the center, fold over half and pinch the edge to seal it. Brush oil on each layer of your of stacked steamer, then place the finished dumplings on the steamer, spacing well apart to prevent them sticking to each other. Make sure dumplings not cover all the holes. 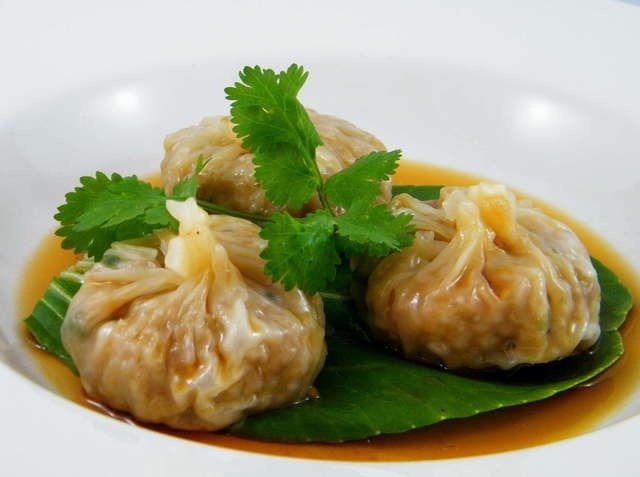 Sprinkle your dumpling with a little water to prevent the batter from breaking apart. Cover and steam over boiling water for about 10 minutes. Transfer to serving plates topped with fried garlic. 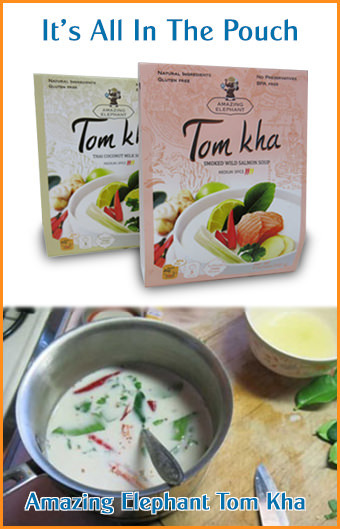 Eat with fresh vegetables such as lettuce, cilantro andfresh Thai chile peppers. This needs a video for wrapper making! I am very intrigued but intimidated. Hi Kevin, we now feature a recipe for salapao and a video filmed in Thailand showing how to make them, see above.